Jolene is a feminist who has been involved with women’s history projects since 2001. She has worked with museums, historical organizations, schools, tourist groups, libraries, archives, community organizations and various private groups. As well, she has presented at conferences, festivals and at a wide variety of public events. She coordinated the Vancouver Museum’s annual International Women’s Day celebrations and their Women’s History Program from 2002-2006. 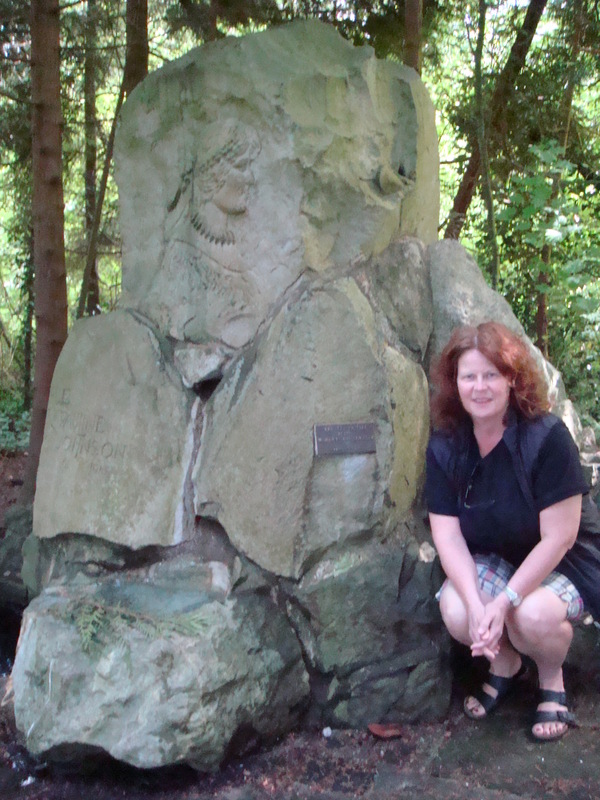 Jolene researches, produces and presents tours regularly and launched her ongoing series of historical walking tours and public history exhibits in Stanley Park, 2003 – present. She has a special interest in the history of the Women of Stanley Park. Jolene is a former board member of The Friends of the City of Vancouver Archives and was on their Out Reach Committee. Examples of a few of her other projects include: coordinating the 2010 Women’s History Fair at the Vancouver Public Library, the 2008 poster series Remarkable Women: Honouring women from our Vancouver communities with The Arts and Culture Office of the Vancouver Board of Parks and Recreation and The Women of Mount Pleasant and West of Denman St. Historical Walking Tours, sponsored by the Neighbourhood Small Grants Project and the Vancouver Foundation. Jolene also draws stories from her own family history. Her first family member came to British Columbia in 1875 and is the fourth generation in her family to have lived in Vancouver. She has been researching her grandfather, Judge Henry Castillou, for 30 years and is writing a book about his life. Lara Campbell is a Professor in the Department of Gender, Sexuality, and Women’s Studies at Simon Fraser University, where she teaches Canadian gender and women’s history. Lara received her B.S.W and B.A. from McMaster University, her M.A. from the University of Toronto, and her Ph.D. from Queen’s University, Kingston. Lara’s dissertation and first book examined the impact of the Great Depression on Ontario families. Respectable Citizens: Gender, Family, and Unemployment in Ontario’s Great Depression was published by University of Toronto Press in 2009, and received an Honourable Mention from the Canadian Historical Association and the Canadian Women’s Studies Association. She has co-edited Debating Dissent: Canada and the Sixties (University of Toronto Press 2012) with Dominique Clément and Greg Kealey, and co-written Gender History: Canadian Perspectives (Oxford University Press, 2014) with Willeen Keough. She is currently working on an edited collection on the history of war resistance in Canada, and is researching the gender history of Vietnam war resistance in Canada and the United States.